Horizon Hills a gated and guarded housing community in Nusajaya (part of Iskandar) that is very popular with expats – learn more about the Horizon Hills housing estate. The housing estate offers bungalows, link houses and condos. Horizon Hills has its own golf course. Even with the rapid decline in the value of the Malaysian ringitt the rental prices are not rising, if anything they appear to be falling. Given the amount of vacant properties for rent this makes sense. Of course for those with income in dollars (Singaporean, USA or other) this means rental prices have gone down substantially given he 20% decline in the Ringitt to the USA $ (from $1 = 3 ringitt in May 2013 to now $1 = 3.6 ringitt). RM 3,000; 2 story terrace house; 4 bedrooms; 3 bathrooms; fully furnished; land area 22’x 70′. 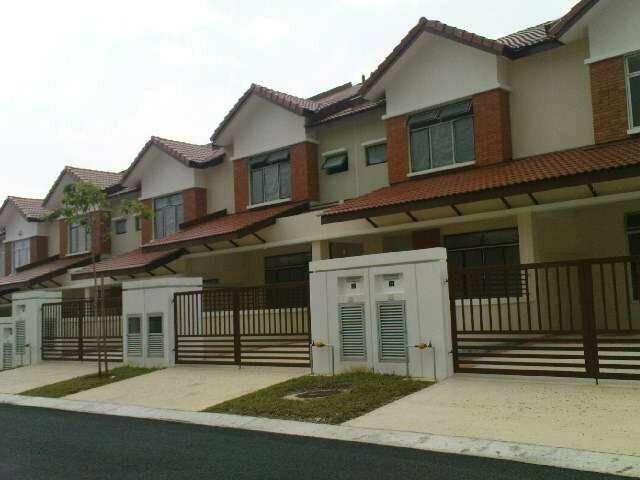 RM 4,000; cluster home; 4 bedrooms; 3 bathrooms; 2,123 square feet; fully furnished. RM 3,000; 2 story link house; 2,556 square feet; 4 bedrooms, 4 bathrooms, partially furnished, the Golf area. 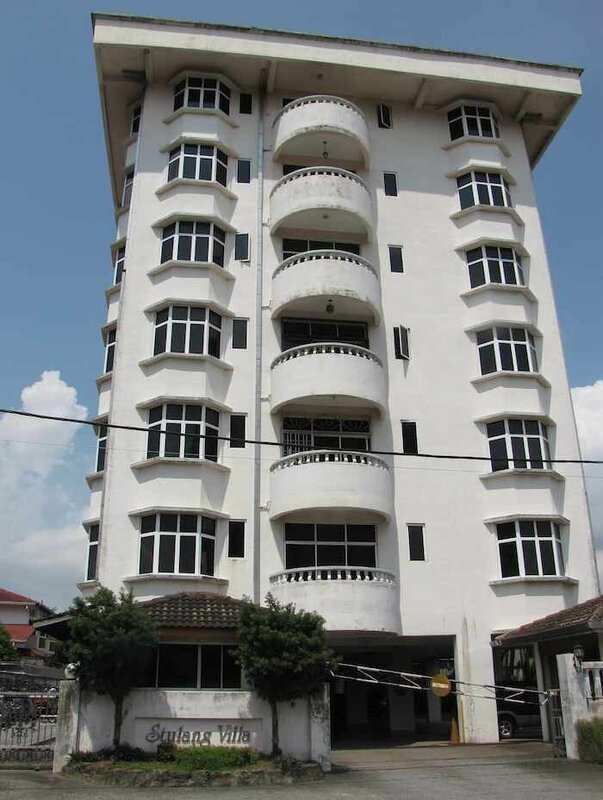 RM 3,300/month; 2 story Terrace/Link House; 3,000 square feet; 4 bedrooms; 4 bathrooms; unfurnished; the Hills area. 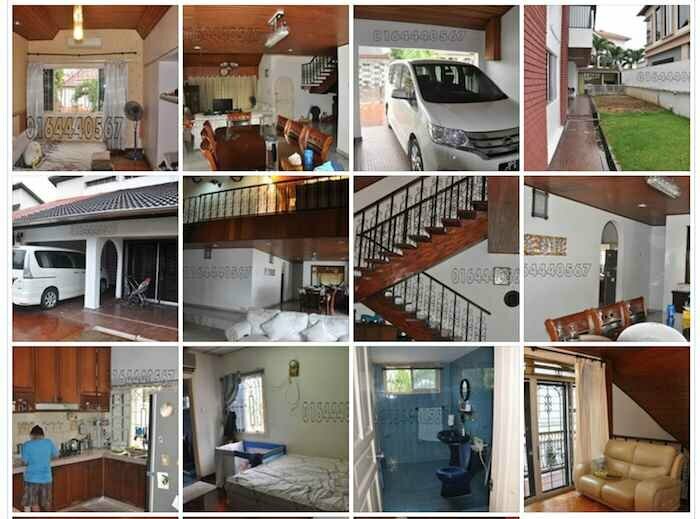 RM 2,800; 2,300 square feet built-up; 4 bedrooms, 4 bathrooms, partially furnished, the Green area. Bungalows will cost more but there are many of those options available also. Each condo on the map links to our information page for that condo. (click the icon next to the name to view the popup details with the link to the page). If you will be traveling around JB looking at condos you might want to bookmark our main JB condo page or the direct page for the map. That way you can easily refer back to it as you need to. We do also show the major housing estate areas in JB and Iskandar (if you zoom out on the map a bit). As I have written previously the potential for Johor Bahru, Malaysia is great. The proximity to Singapore give JB the extra boost that moves the potential above that of dozens of similar locations throughout South East Asia. But potential has to be managed properly or it is wasted. The inability of Singapore and Malaysia to cope with the demand for cross border traffic has to be a huge concern for investors. The backups have become progressively worse throughout the last year and especially bad the last few months. As I have also written previously the massive supply of luxury housing in JB without a visible source of equally high paying jobs in Johor that will allow people to afford those houses is a worrisome sign. The failure to complete a 3rd link by last year and the huge delays experienced all this year create strong headwinds for realizing the potential of Iskandar. Obviously cross border transportation was going to be bad before the MRT was finally extended given the huge volume of luxury condos being build in JB. But things are tremendously bad already when only a few of the new luxury condos are completed. The potential is still great but the huge problems with the borders already calls into question the ability to plan, execute and grow to meet that potential. More high paying jobs need to be created in Johor Bahru itself. I don’t see how the number of luxury condos being built will be workable in the next few years. 10 years from now all may be well, but from 2015 to 2018 (or whenever the border gets fixed so the median border delay is under 15 minutes, likely the extension of the MRT to JB will have to play a role in fixing the problem) I see big risks countering the big potential. Houses on Johor Bahru street with KSL in the background (D’esplanade Residence @ KSL, KSL mall, KSL hotel and more condos are being build across the street). People are willing to envision themselves putting up with huge commutes. but as they live with them year after year and miss their children, spouses and lives sitting at a border waiting to move forward many will decide it isn’t worth it. Stulang Villa Condos offer large units in a small building near the Cyberport building (walkable to CIQ, though a long walk). It is an older building close to downtown but in a residential area. Exterior view of the condo building, see more photos. Given the small size finding units available online may not be easy. Though will all the new condo units going online recently and soon it would not surprise me to see more vacancies here so more chance of finding units available. MYR 2,300 per month, 1,900 square feet, 3 bedrooms, 4 bathrooms. MYR 2,200 per month, 1,800 square feet, 3+1 bedrooms, 3 bathrooms. 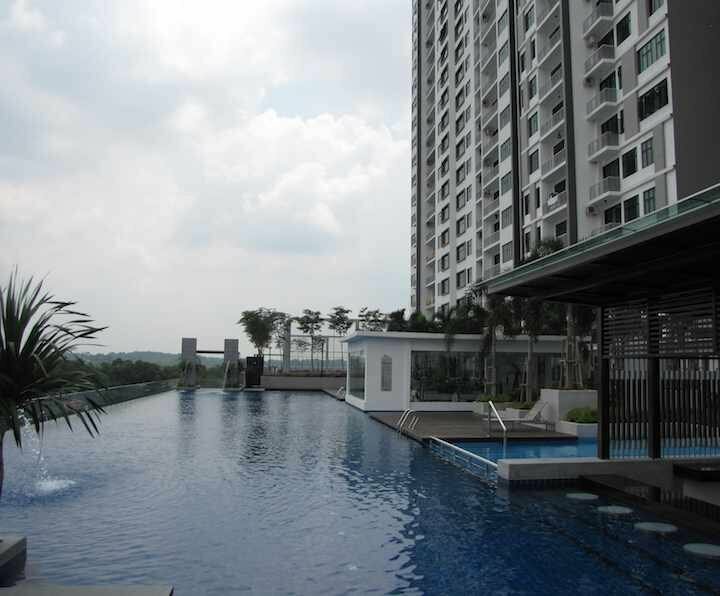 MYR 2,500 per month, 1,750 square feet, 3 bedrooms, 2 bathrooms. These condos don’t have a pool or such amenities that larger condos offer. 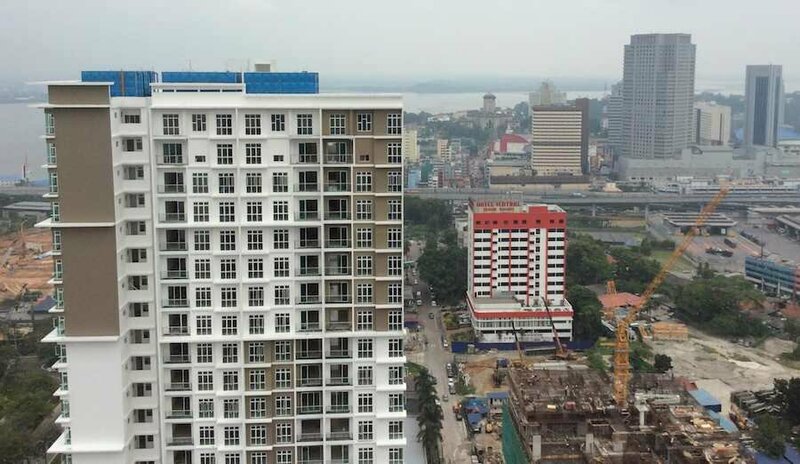 The second tower for next to the Pangsapuri Sri Samudera, Seaview Residence Suites is nearing completion. Current rental options for the existing tower run from MYR 1,700 to 2,500+ per month. 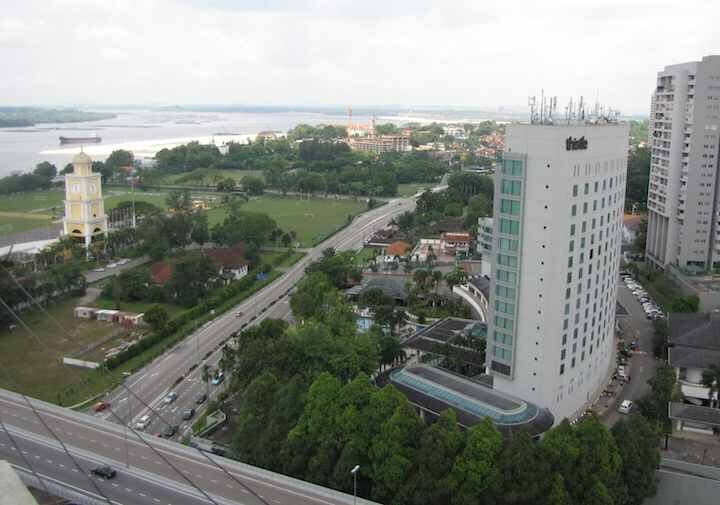 The Sri Samudera is in the neighborhood of the Thistle hotel and Indah Samudra Condos. It offers great views for a few units, but the units looking north seem like they are going to be looking directly into the second tower which is very close. MYR 2,300 per month, 900 square feet, 2 bedrooms, 2 bathrooms. 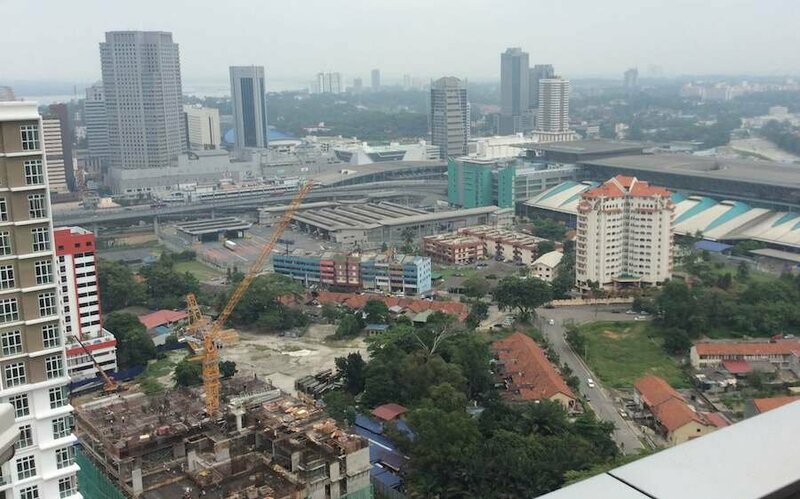 MYR 2,800 per month, 1,100 square feet, 3 bedrooms, 2 bathrooms, high floor, sea view. MYR 2,900 per month, 1152 square feet, 3 bedrooms, 2 baths, high floor. MYR 2,000 per month, 600 square feet, studio unit. Given the overall market the prices seem a bit high to me; maybe the demand from hospital workers is high enough to justify the prices. The more expensive units are also much more likely to be shown online (the less expensive units are often not put online – low level, not updated, etc.). In my opinion the pool is the best part of the project. The units are ok but the pool is amazing. The location is actually pretty good too – there are quite a few shops surrounding the area (and with a Giant and Tesco right across the street). Rents range from 2,300 MYR/month to 4,500 MYR/month (for 820 to 1,500 square feet). Purchase prices range from 800,000 to 900,000 MYR (for 1,516 square feet which is about 600 MYR per square foot). MYR 4,500/month – 3 + 1 bedrooms, 4 bathroom, 1,500 square feet, high floor, corner unit, looking South. MYR 3,500/month – 2 + 1 bedrooms, 3 bathroom, 1,168 square feet, unfurnished. MYR 2,300/month – 1 + 1 bedrooms, 1 bathroom, 820 square feet, unfurnished. Sky Executive Suites @ Bukit Indah opened to tenants last year and there are still many units available. The location is quite nice, but it does seem to me the price of the units tends to a bit higher than the market (room to negotiate, especially with so many units available). See more details on our Setia Sky Executive Suites information page. See more details, status and contact information. Malaysia is seeing the spillover from Singapore’s four-year property boom and its subsequent efforts to cool the market. Now Malaysia is taking steps to prevent its own real estate inflation from emerging and appeasing locals who say they can no longer afford to own a home. In last month’s budget, Prime Minister Najib Razak doubled the minimum amount foreigners must spend on property and raised the capital gains tax to 30 percent on homes they sell within five years. The local governments of southern Johor state, where Iskandar is based, and Penang to the north, are considering additional tariffs on overseas buyers. 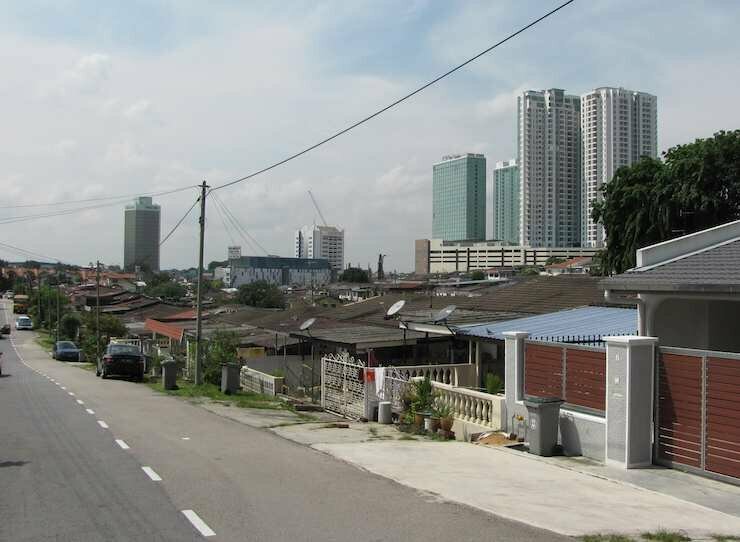 Malaysia’s central bank shortened the maximum length on mortgages in July, saying household indebtedness had risen by an average 12 percent per annum in the past five years. Last month, the government barred developers from helping home buyers by absorbing some interest payments on loans. Malaysians have accumulated Southeast Asia’s highest level of household borrowings at 80.5 percent of gross domestic product, according to Bank of America Corp.’s Merrill Lynch unit. Johor is planning to impose an additional 2 percent tariff on buyers from overseas across all segments of the property market from May, Singapore’s Business Times reported Nov. 13, citing Koh Moo Hing, chairman of the Johor branch of the Real Estate and Housing Developers’ Association. Penang is seeking public feedback on proposals to introduce a 3 percent levy on foreigners purchasing homes next year, Lim Guan Eng, the state’s chief minister, said last month. It is wise for the governments in Singapore and Malaysia to institute measures to react to the bubbles in the markets. In general, I think they are taking wise measures. Increasing the tax on foreigners is wise (it is always nice as a government to tax those who don’t vote for you). The trouble you run into with this strategy is making investors look elsewhere. My belief is a 2% tax on real estate purchases isn’t going to have much of an impact (investors will still invest). Even an additional 2-3% by the states is likely ok, now, but that might get to be an issue at some point. Right now the appeal of Malaysian real estate is such that I don’t really see much impact. The biggest risk is if other factors increase Malaysia’s need for foreign currency (government debt, consumer debt, less investment in manufacturing, lower oil and gas sales, lower tourism revenue) then the appeal of getting foreign currency puts pressure to make it as appealing as possible for foreign investors. The other serious issue, that I have mentioned before, is the Johor real estate market is pricing in very good ties with Singapore. And the infrastructure right now is not sufficient and since no 3rd link was put in place in the last few years the problem is growing. Once the MRT is extended (and I am assuming a 3rd link will be in place years before that) things will be in much better shape. But there are maybe 6 years before that with huge numbers of condos being delivered that can only be afforded with Singapore jobs (creating huge capacity problems for the transportation infrastructure – especially adding that to theme parks in JB seeking to draw Singapore visitors). Aster Court condos offer a good location and good prices. They sit on top of a few shops but unfortunately the shops are not very busy and some are not rented. But the location is quite close to KSL Mall, Plaza Pelangi (and all the good food near there), Hotel New York etc.. It is also very close to where Setia Sky 88 and Twin Galaxy are under construction. 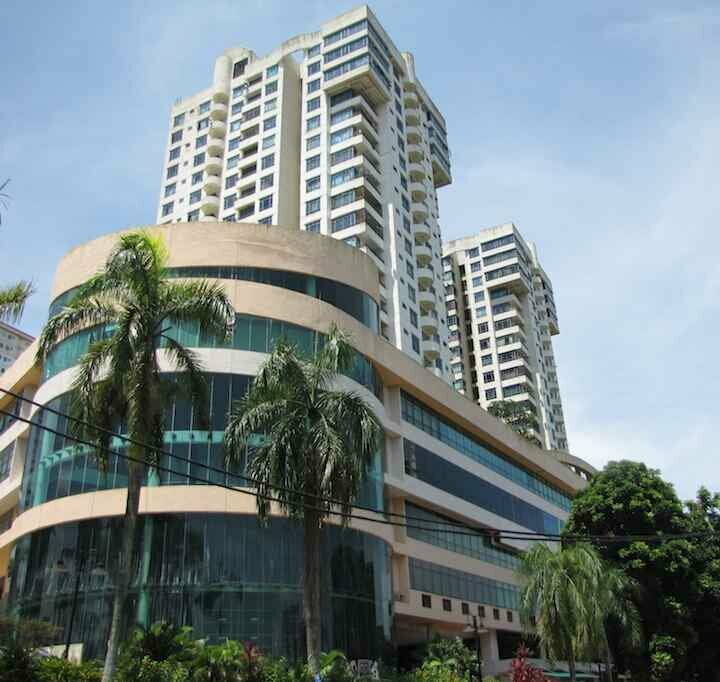 Aster Court condos in Johor Bahru by John. The condo has a pool and security but has a bit less in the way of amenities than most other condos considered by expats. Aster Court condos are listed for sale at around 500,000 MYR. See our overview of Aster Court condos. As always, expats should remember most agents in Johor Bahru merely show you properties they (or their company sometimes) have been paid by the owners to show. Seeing multiple units, even at the same condo, often requires appointments with multiple agents.